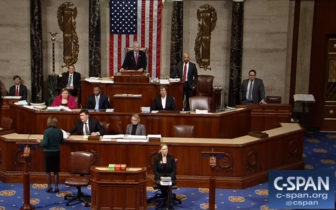 The U.S. House of Representatives as it prepares to vote on the budget bill. Although it will fully fund the Pentagon for two years, extend authorization for the Children’s Health Insurance Program until 2028 and replenish the federal grant program that helps the state’s community health centers, the budget agreement will fund most of the rest of the federal government only until March 23. That is expected to give congressional appropriators enough time to negotiate the fine details of funding agencies for the remainder of 2018. The tax bill also contains a number of tax “extenders,” the name given to a number of tax breaks that were meant to be temporary but have been renewed by Congress for years. The extenders benefit racetracks, movie and television producers, craft breweries, rum makers, and biofuel producers, to name a few. Also in the extenders package are five years of tax credits for U.S. companies investing in fuel cells — which is likely to be a boon to Connecticut’s fuel cell industry — small wind, geothermal heat pumps, combined heat and power, and microturbines. A new measure was added to the extenders package that would help Westport’s Newman’s Own Foundation, which gives 100 percent of the profits made from the Newman’s Own food business to charity, but would have been hit with a 200 percent tax this year unless it divested or got the exception.